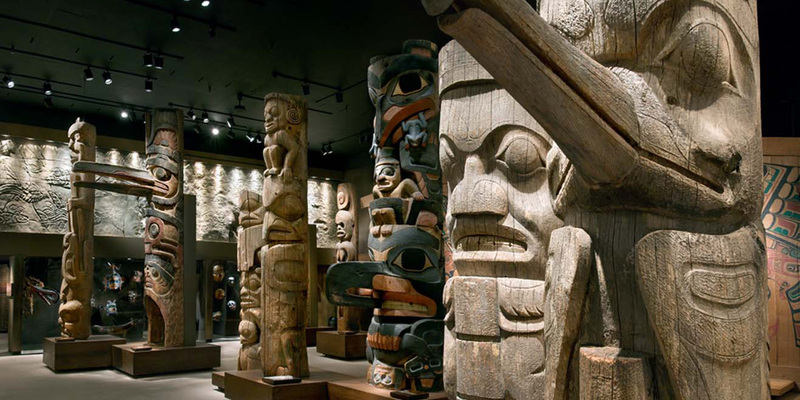 Royal British Columbia Museum | First Peoples Gallery | André & Associates Interpretation and Design Ltd.
17,000 sq. ft. / 1,579 sq. 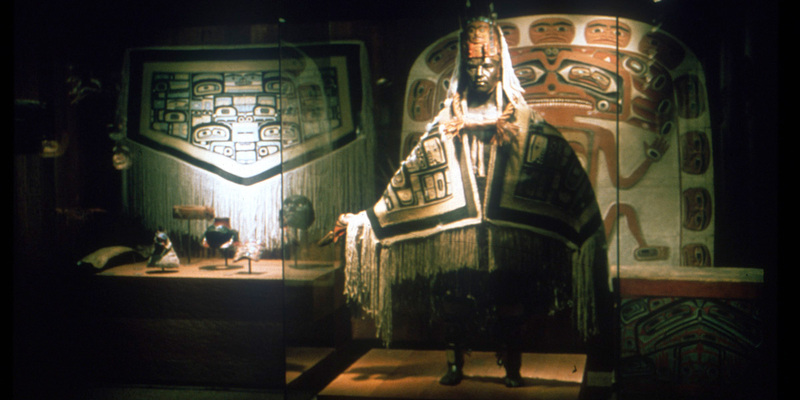 m.
"…you enter a Kwakiutl ‘big house’. The scent of cedar envelopes you and the light is dim. 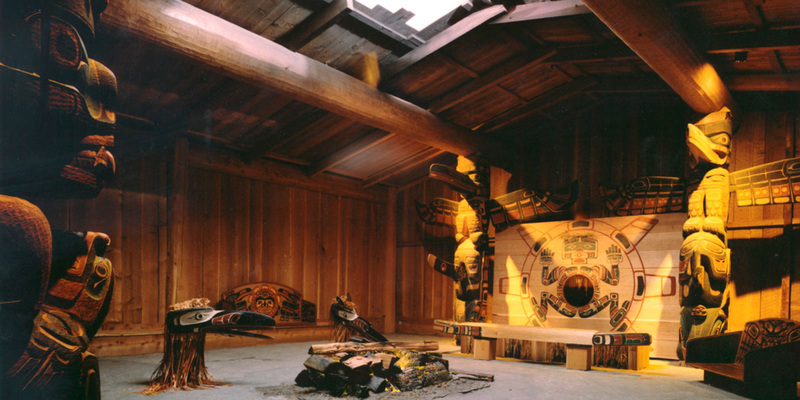 You hear singing, potlatch songs that tell you this ceremonial house is genuine and that it belongs to the descendants of its original owner, a Kwakiutl chieftain… "
The First Peoples Gallery was created to honour the many distinctive First Nations of British Columbia. During the development of this gallery a carving shed was also created on the museum site. 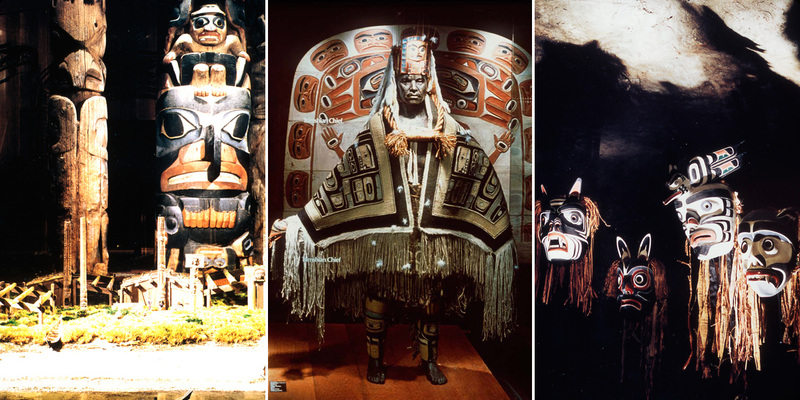 Many First Nation Carvers and craftsmen were hired to create “replica artifacts” of bentwood boxes, fishing and hunting gear, and masks. 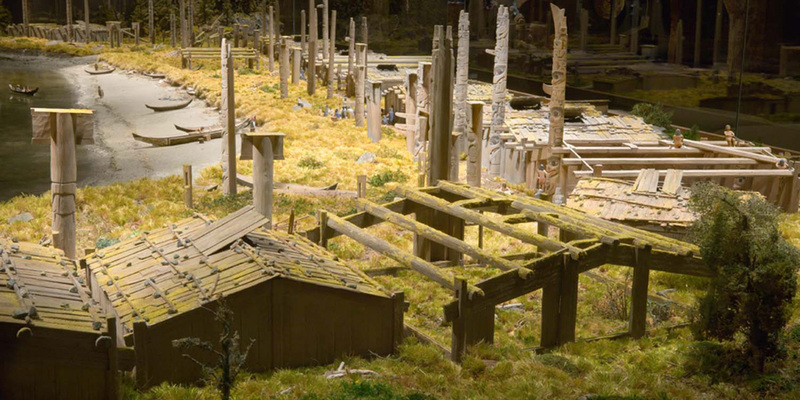 This exhibit helped create an outdoor carving program which was enjoyed by visitors from all over the world. 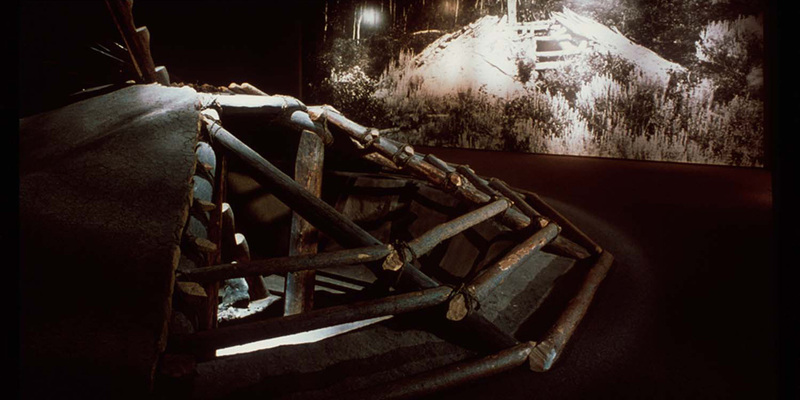 The exhibit reveals the wealth and rich culture of the First Nations before contact with Europeans and the tragedy and devastation that occurred after contact. 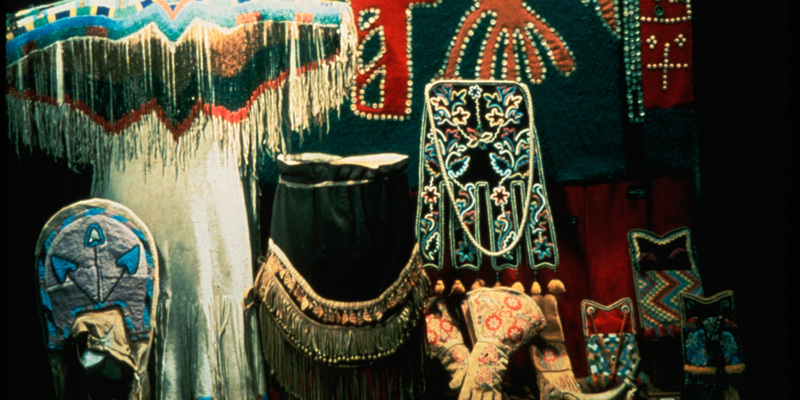 The exhibit concludes with First Nations Today, celebrating their survival as well as acknowledging their challenges.